Khatibi, M., Roshanfekr, H., Fayazi, J., Mirzade, K. (2013). Polymorphism of 5′ Flanking Region of Lactoferrin Gene in Khuzestan Buffaloes. International Journal of Advanced Biological and Biomedical Research, 1(7), 777-782. Maryam Khatibi; Hedayatullah Roshanfekr; jamal Fayazi; Khalil Mirzade. "Polymorphism of 5′ Flanking Region of Lactoferrin Gene in Khuzestan Buffaloes". 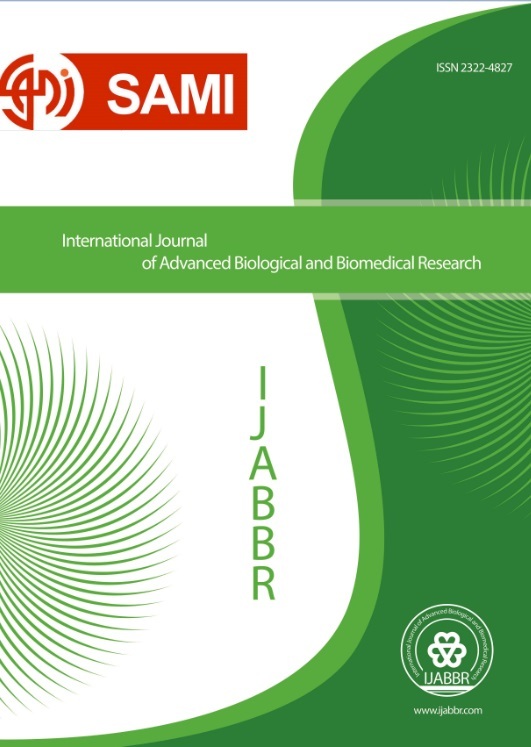 International Journal of Advanced Biological and Biomedical Research, 1, 7, 2013, 777-782. Khatibi, M., Roshanfekr, H., Fayazi, J., Mirzade, K. (2013). 'Polymorphism of 5′ Flanking Region of Lactoferrin Gene in Khuzestan Buffaloes', International Journal of Advanced Biological and Biomedical Research, 1(7), pp. 777-782. Khatibi, M., Roshanfekr, H., Fayazi, J., Mirzade, K. Polymorphism of 5′ Flanking Region of Lactoferrin Gene in Khuzestan Buffaloes. International Journal of Advanced Biological and Biomedical Research, 2013; 1(7): 777-782.